The Dallas Cowboys will be hoping their impressive defence is enough to see them through to a first NFC Championship game since 1995 when they take on the Los Angeles Rams on Sunday (Match Betting – Rams 3/10, Cowboys 13/5). The Cowboys have built their campaign on a strong rear-guard action led by linebackers Jaylon Smith, Leighton Vander Esch and Damien Wilson and they will fancy their chances of restricting Rams quarterback Jared Goff, who has struggled to continue his early season form. Dallas may have been the fourth seeds heading into the playoffs, but they will come into Sunday’s contest at the Los Angeles Memorial Coliseum on the back of a narrow but impressive 24-22 victory over the Seattle Seahawks last weekend. 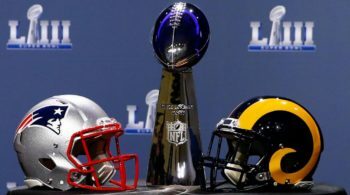 The Rams, as second seeds, will be contesting their first playoff match of the campaign, and their form at the end of the regular season was patchy at best, as they lost two of their final four games. That fixture is not the only playoff game taking place on Sunday, as the New England Patriots and the Los Angeles Chargers will meet for a place in the AFC Championship game (Match Betting – Patriots 1/2, Chargers 13/8). The Pats have reached the Super Bowl in three of the last four years, with quarterback Tom Brady spearheading their attack. The 41-year-old is once again pivotal to their chances this season, although the recent form of fullback James Develin is also likely to provide a boost to their playoff chances. The Chargers were arguably the most impressive performers during last weekend’s Wild Card playoffs, disposing of the Baltimore Ravens 23-17. That result extended their impressive run of form to six wins from their last seven matches and their quarterback Philip Rivers has arguably been better than Brady this season. Indeed, the general consensus is the Chargers are better than the Pats in nearly every area, but Bill Belichick’s side still have a wealth of playoff experience and that could end up being the decisive factor at the Gillette Stadium. Sunday’s final Divisional playoff will see the New Orleans Saints play host to defending Super Bowl champions the Philadelphia Eagles (Match Betting – Saints 1/4, Eagles 3/1). The Saints recorded a 48-7 victory over the Eagles during the regular season – the biggest defeat ever inflicted on a reigning Super Bowl champion – and it is difficult to see anything different this time around given Philadelphia’s injury problems. Philly did show great heart and had luck on their side during last week’s narrow 16-15 victory over the Chicago Bears in the Wild Card playoffs, but they will need more than that to overturn the top-seeded Saints. New Orleans will be hoping the combination of quarterback Drew Brees and wide receiver Michael Thomas, who has recorded an 85 per cent catch rate this season – the best in NFL history, will be enough to see them through to a first NFC Championship game since they last went all the way and won the Super Bowl in 2009.